What will he buy next? Welcome to Vlad's Gadgets! This site is under construction. Soon, there will be all sorts of interesting stories about gadgets I have bought. When travelling by plane, have you ever checked in at the airport counter only to be told that your luggage is overweight? All those cool gifts, souvenirs and duty free items pushed you beyond your allowed limit (usually between 20-25kg per person). You were forced to pay an extra fee. $100/kg per extra kilogram beyond your normal limit is not uncommon. 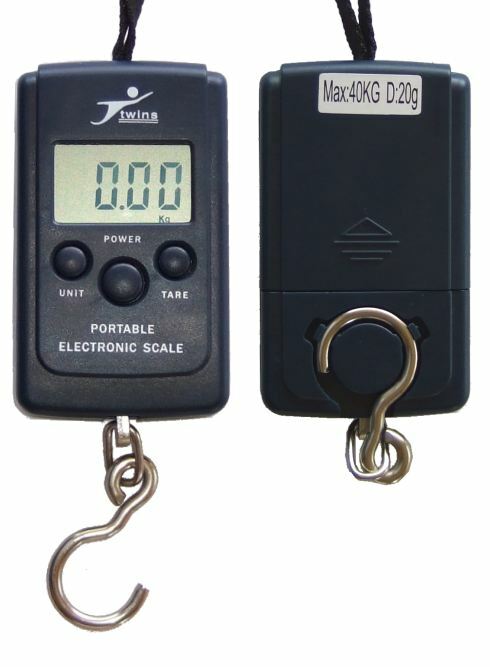 If you had this portable luggage scale, you could have avoided the problem. 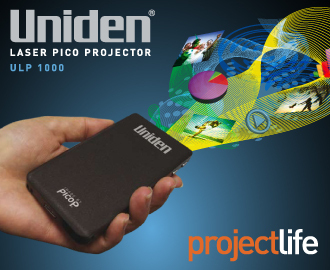 You would be able to determine exactly how much you’re carrying with you at any point in time. The portable digital scale weighs only 75g and is powered by two 1.5V AAA batteries. Because it is a hanging scale, it needs no platform or pedestal, so it’s only 10cm x 5cm x 2cm (approx 4″ x 2″ x 0.8″) in size. It can weigh anything that hang be hung on the hook. When the scale is not in use, the hook nests securely in a groove at the back of the scale, so it won’t dangle or snag other items when being transported. This scale can weight any object from 20g up to 40kg, and it can display the weight in units of kilograms (kg), pounds (lbs) and ounces (oz). It has a tare button to zero and reset the scale – useful if you want to weigh something in a container. The scale also has an intelligent lock feature – the scale will wait until the object weight reading has stabilised, then it will hold the weight reading on the screen, so you can take the object off and record the reading. To extend battery life, the scales will automatically turn off after 60 seconds of inactivity, and the scales will also warn when the battery is low. I recently have been selling a few big and heavy items on eBay, and I needed to specify the mass so that eBay could estimate the postage fee for the buyer. The items were too big and bulky for my kitchen scales, but the items conveniently had straps and other points that allowed them to hang on the hook of the digital hanging scale. Also when I have been posting gadget reviews, I have used this hanging scale to measure or double-check the weight of the gadget. More accurate than most bathroom body scales or kitchen scales, which can display a varying reading if the object is not positioned on the “sweet spot” of the platform. This is not an issue with the hanging scale, as the weight of the object being weighed is concentrated at a single point – the hook. The left-hand button changes the units of mass between kilograms (kg), pounds (lbs) and ounces (oz). The right-hand button is tare, which reset the scales to zero. Get a spare, sturdy towel. Take one corner of the towel and slide it underneath your pet, wrapping the towel around its belly, between the front and back legs. Adjust the towel so that one corner of the towel will be facing forward, pointing between the front legs. The opposite corner should faces backwards, pointing between the hind legs. The objective it to evenly distribute the weight of your pet’s torso across the towel. Bring the right and the left corners together so that they meet directly above your pet. Tie the corners together by either making a knot with the corners of the towel, using a piece of string, or using a safety pin. You will then be able to slide these fastened corners over the hook of the digital luggage scales. Note 1: If your towel is heavy, weigh it first and then subtract its weight from the final reading. Alternatively, you can place the towel on the hook and press the “tare” button to zero the scales. Note 2: A friend of mine who owns cats was of the opinion that his pets would not like to be weighed in this way and that they might thrash around. If you have such a pet, you may not want to use this procedure. He suggested as an alternative, to simply weigh yourself on a conventional body scale, and then weigh yourself holding your pet, and then subtract the first reading from the second. You will need either a bird cage or perch. Most of these have hooks or carry handles on top, which can easily fit onto the hook of the digital scales. Are Laser Pointers Legal in Australia?